This entry was posted on Tuesday, January 29th, 2019 at 12:16 pm. 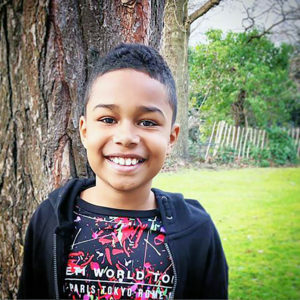 Ten year old Lucas Wint, of Westbury, is preparing to take part in his first 5k race on the 3rd February, whilst raising money for the RUH Bath Cancer Unit Support Group charity (BCUSG). Lucas has always been a very keen runner, but the Redfish Events Bowerhill Bomber will be the first time he has entered a race of this distance. Lucas explained that his best friend is currently going through an incredibly tough time whilst his nan is being treated for cancer – so he always does his best to cheer him up. But then he had the idea to show his support for the whole family by doing something challenging, to raise money for the Bath Cancer Unit Support Group charity. Frances, Lucas’s mum, says she cannot describe how proud she and the family are of what he is doing – both in terms of pushing himself to run 5k and in his determination to raise money for the local charity. A Virgin Money Giving page has been set up to collect sponsorship – if you would like to help Lucas raise important funds for the BCUSG, please visit https://uk.virginmoneygiving.com/fundraiser-display/showROFundraiserPage?pageId=1010627. The BCUSG charity is run entirely by volunteers, so with very few overheads, over 94% of donations received are spent directly within the cancer unit. For more information about the charity, please visit www.bcusg.org or follow them on Facebook.